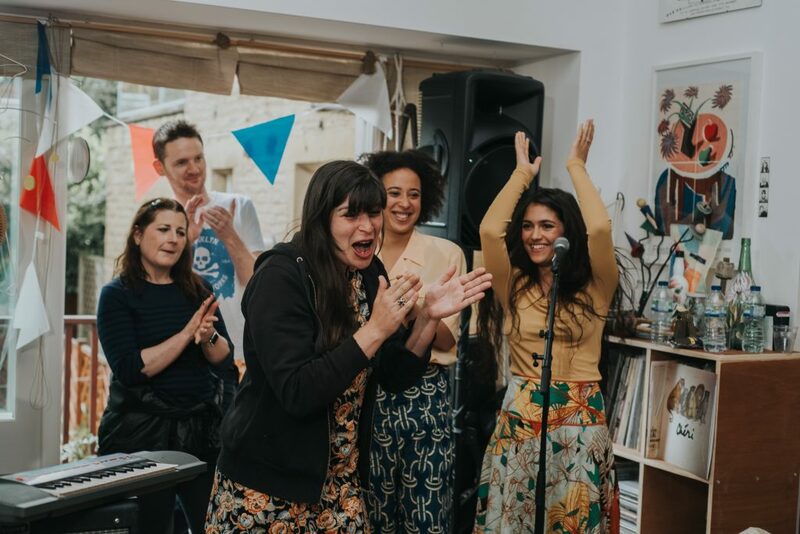 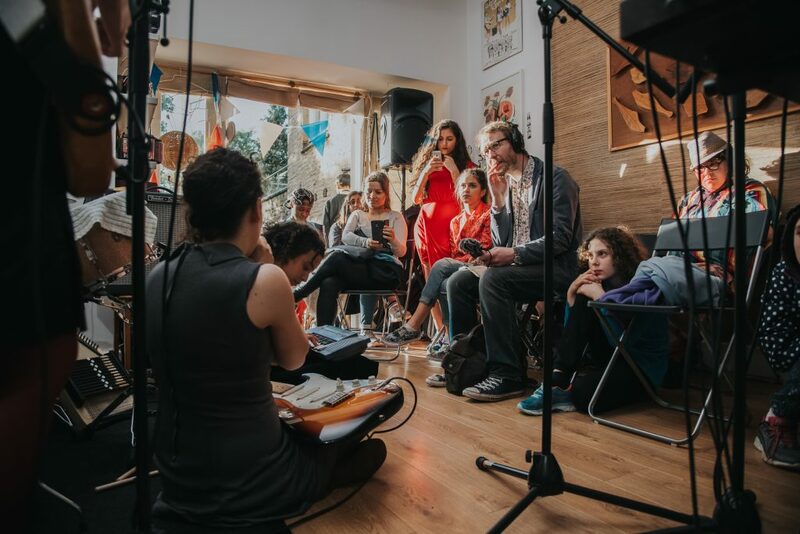 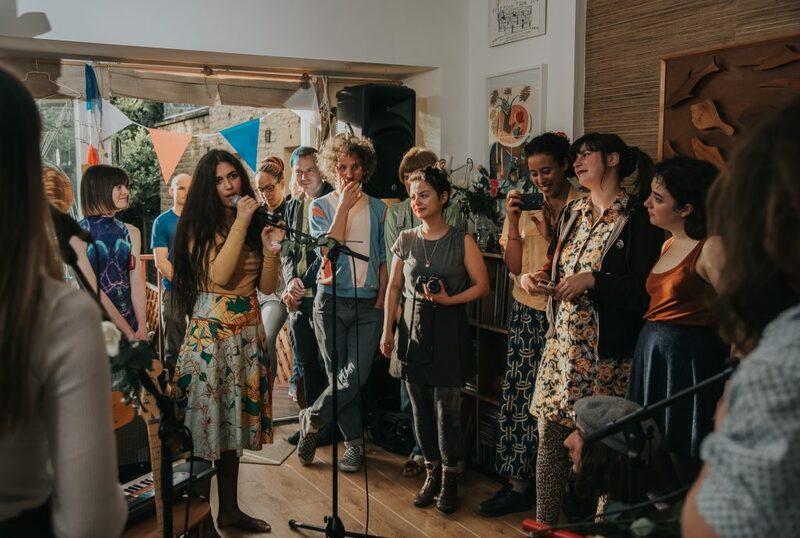 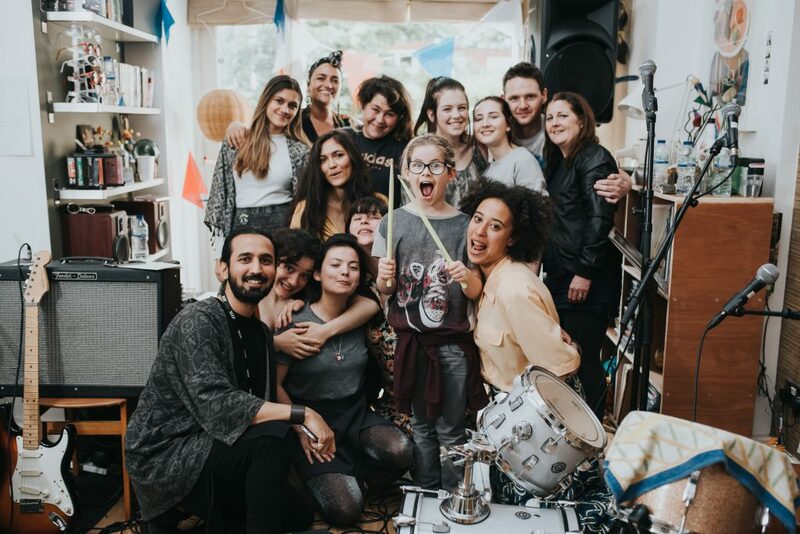 For the sixth Festival in My House in May 2017, Kate Armitage welcomed guests to her home in Whalley Range for a weekend of workshops and performances celebrating world music culture. 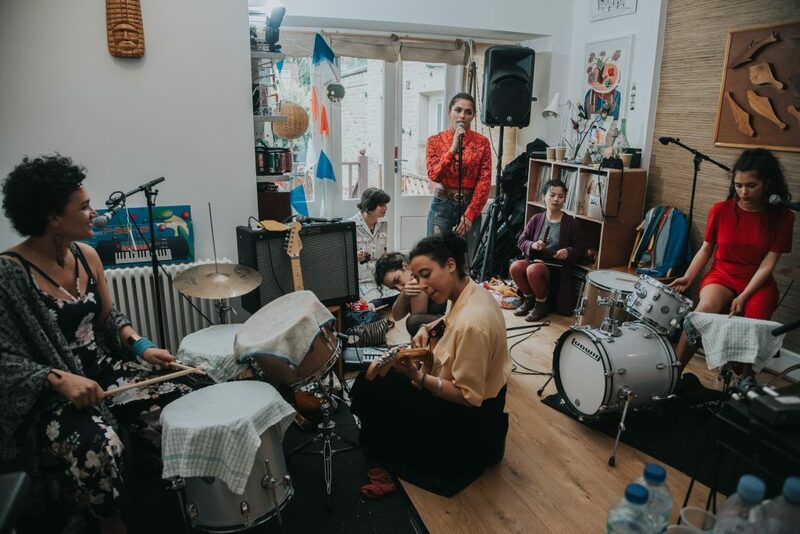 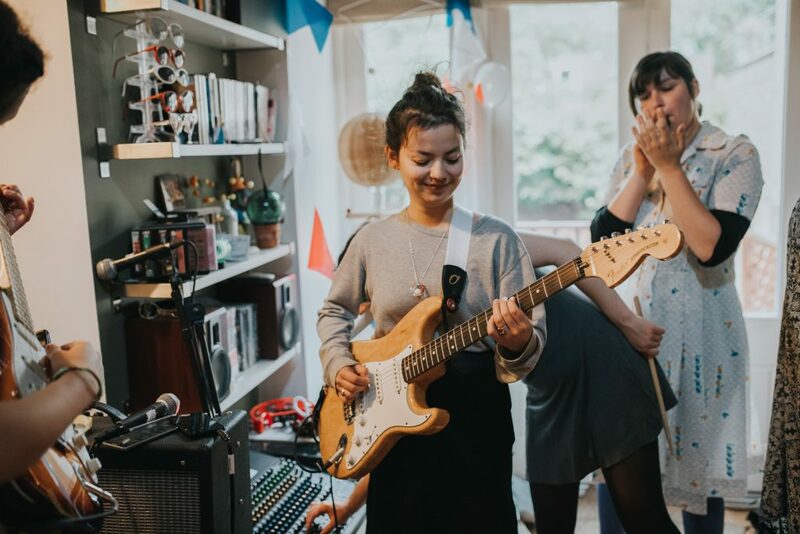 Kate invited Rose Mercie, a Parisian girl band that blends pop and avant-garde sounds, to Manchester for their first UK performances. 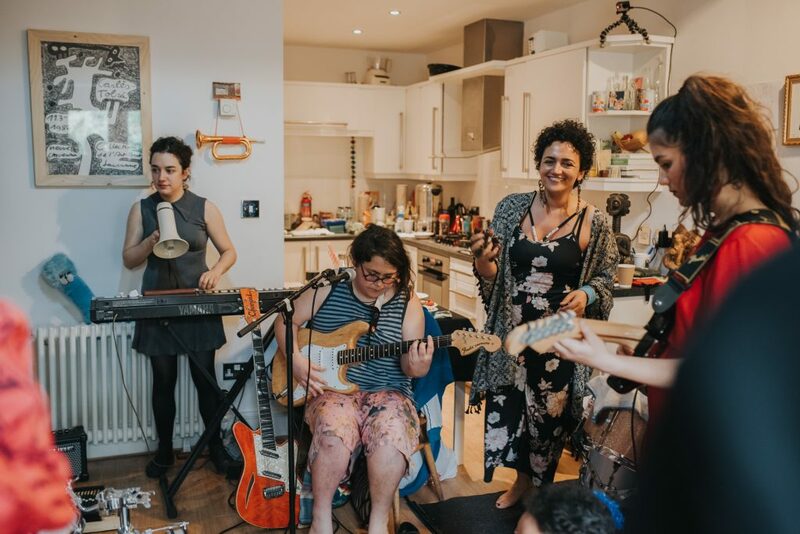 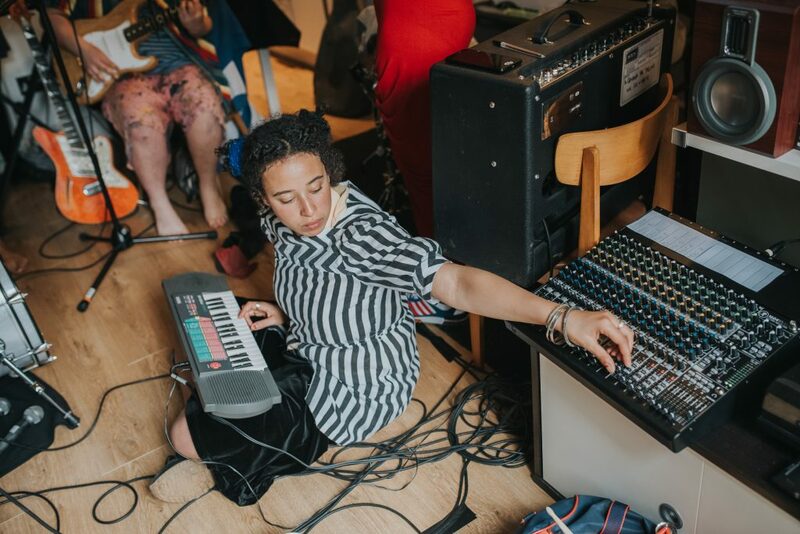 During the day, the band held workshops for aspiring female musicians to experiment with songwriting, one word and self-taught approaches to music. 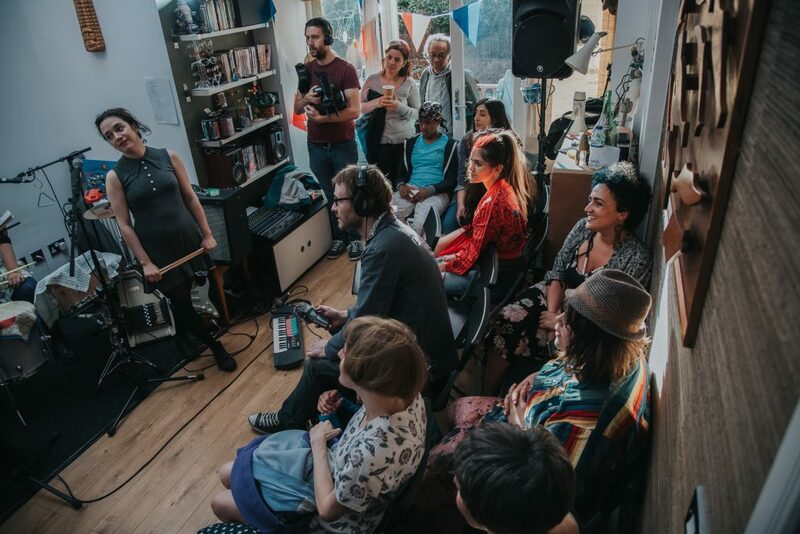 Then in the evening, live performances introduced guests to the band’s unique sound.